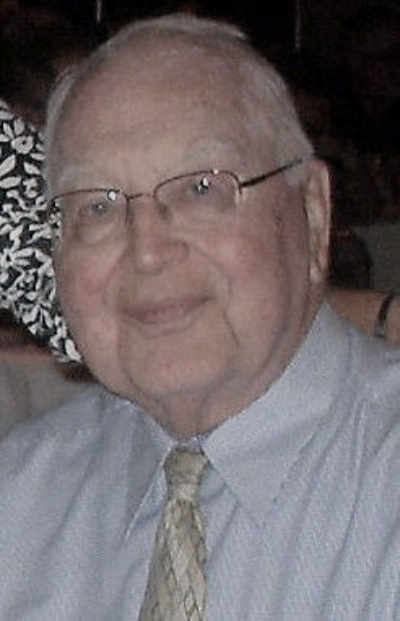 SOUTH BEND, Indiana — Robert Joseph Wilson, 89, formerly of Manistee, Michigan, Lima and Delphos, passed away Monday in South Bend. Born in Findlay to Burgan and Marie Wilson, Robert attended Delphos St. John’s High School prior to proudly serving in the US Navy from 1948-1952, which included the Korean Conflict, and he was honorably discharged. He worked for the Ex-Cell-O Corporation for 36 years as a human resources director. He met and married the love of his life, Margaret Wilson (Norton), of Lima, and was happily married for 64 years. Robert was a loving husband, father, grandfather, and great-grandfather. He will be remembered for the happiness he brought to those he loved, as he told his stories and jokes, built bonfires with his grandchildren, cheered on Notre Dame Football, and his enthusiasm for gardening and his fruit trees. Most of all, he provided his children an example of how to live their lives in faith and love for family. Robert is survived by his seven children, Joan (Mike) Sawyer, John (Janet) Wilson, Judith Wilson, Joseph (Caroline) Wilson, Jane (Joe) Farraye, Joyce (John) Ladue and Jennifer (Kreg) Gruber; 25 grandchildren; 10 great-grandchildren; and siblings, Eugene (Mary) Wilson and Michael (Joyce) Wilson. He is preceded in death by his wife Margaret; his sisters, Maxine (William) Link, Colleen Wilson Millet, Joan Wilson, Marilyn (Jr.) Otte, Katherine (Frank) Campanile and Carolyn Masten; and his brother Frank (Judith) Wilson. A memorial Mass was celebrated with visitation one hour prior on Friday, Feb. 8, at St. Pius X Church in Granger, Indiana. A luncheon was served immediately following mass at St. Pius X Church. To send private condolences, visit McGannHay.com.